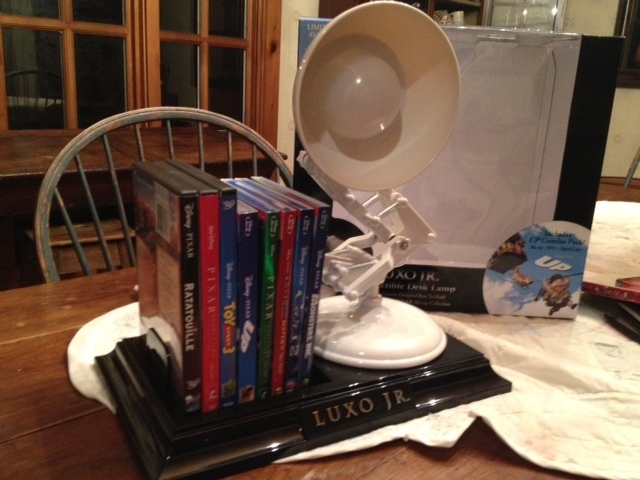 Dan the Pixar Fan: Luxo Jr. : Up Blu Ray Plus Luxo Jr. 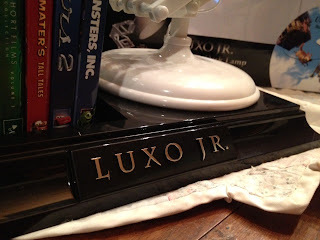 Working Lamp and Blu Ray Display Stand! I've been looking at this for years wanting it, but this just made me want it even more! Checking Amazon, there's a couple for $200, which isn't terrible, considering that it's about $160 with the movie... (that's a better way to look at it, in my opinion. Once I saw this I was sold. 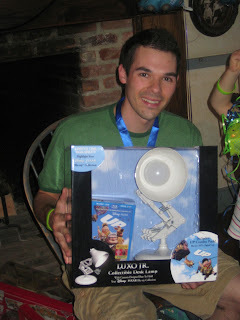 I really wanted it but never thought I'd get it cause of the price. My mom surprised me with it for my bday this year and I was so pumped! She got it on Ebay and yah they're on Amazon for OK prices. 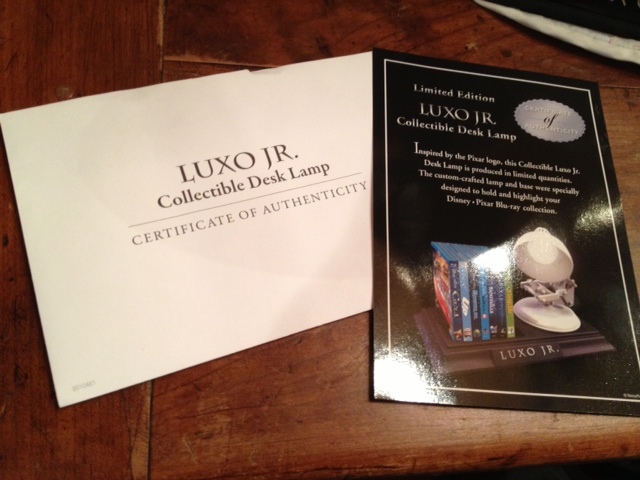 Sometimes they'll show up on EBay for like 100 bucks so keep checking!